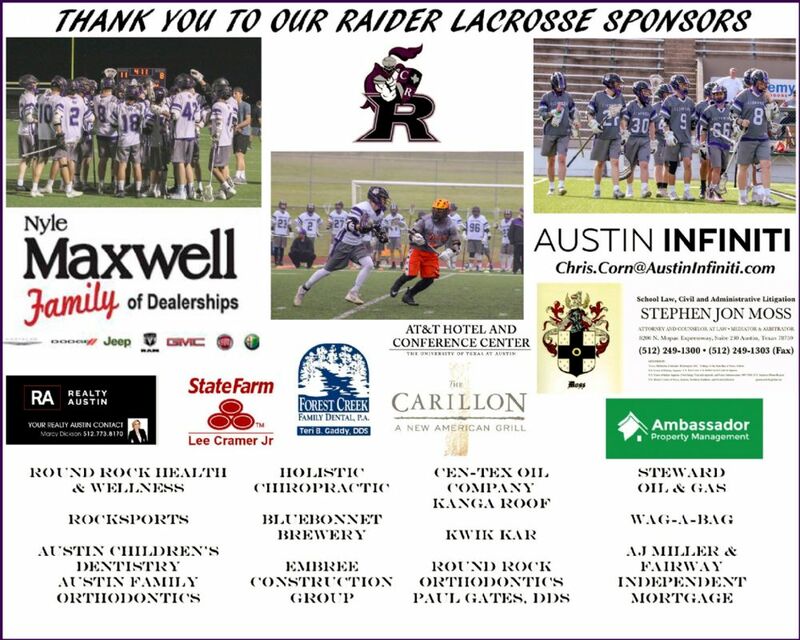 We are the official lacrosse program for young men attending Cedar Ridge and Stony Point high schools. We have Varsity and JV teams competing in the Division II Level of the Texas High School Lacrosse League (THSLL). We are looking forward to our 2018-2019 season! 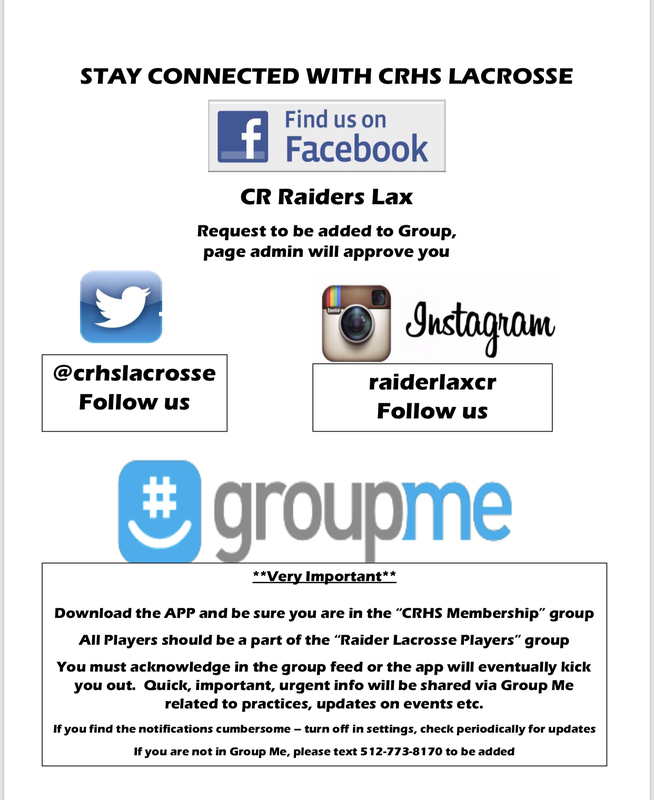 We would love to have you as a part of our Raider Lacrosse Family. Registration for our Spring Season will be open in September. Sign up for our mailing to keep up with upcoming new player intro sessions.